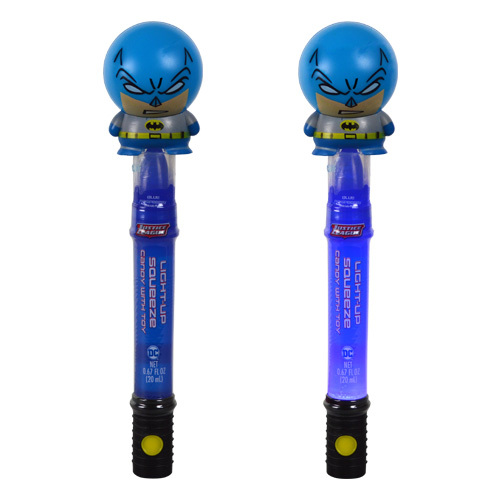 DC Comics™ Light-Up Squeeze Candy + Toy is the best of both worlds. 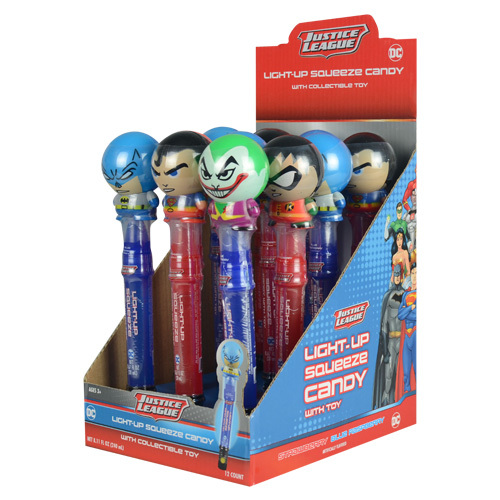 The Justice League buildable figurines can be played with long after the delicious squeeze candy is gone. The squeeze candy comes in Strawberry & Blue Raspberry. 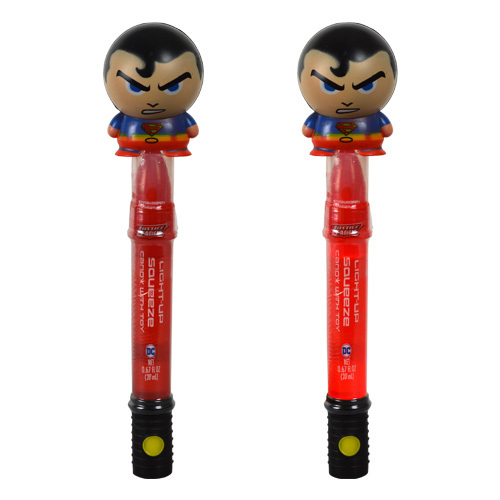 The buildable toys come in a mix of Superman, Batman, Robin, the Joker, Green Lantern, and the Flash. Complete sets cannot be guaranteed.